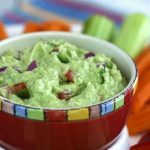 A secret ingredient in this deliciously creamy dip adds more vitamins and nutrients to your traditional guacamole recipe. 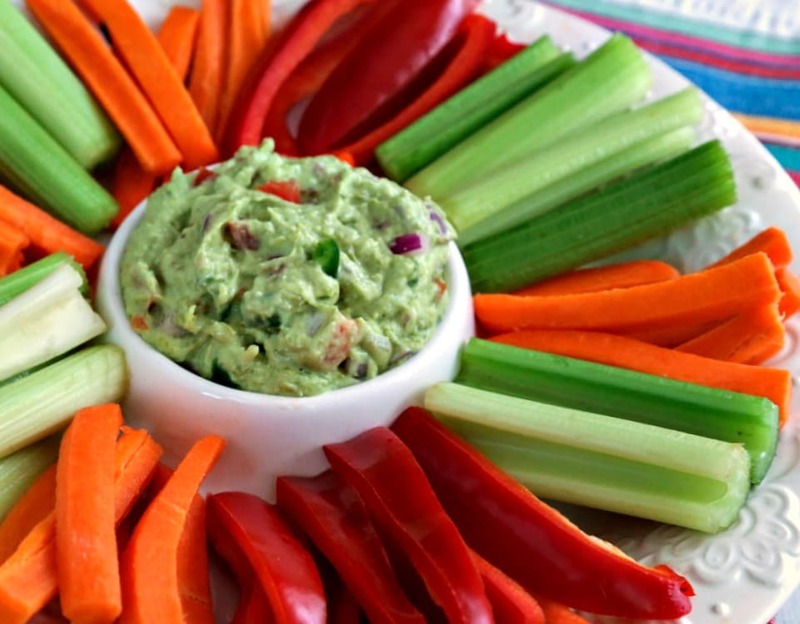 Eat it with veggie sticks for a guilt-free, heart-healthy snack! Cinco de Mayo for me usually means enjoying Cheesy Chicken Enchiladas with a side of guacamole and plenty of crispy, salty tortilla chips…one of my favorite meals! 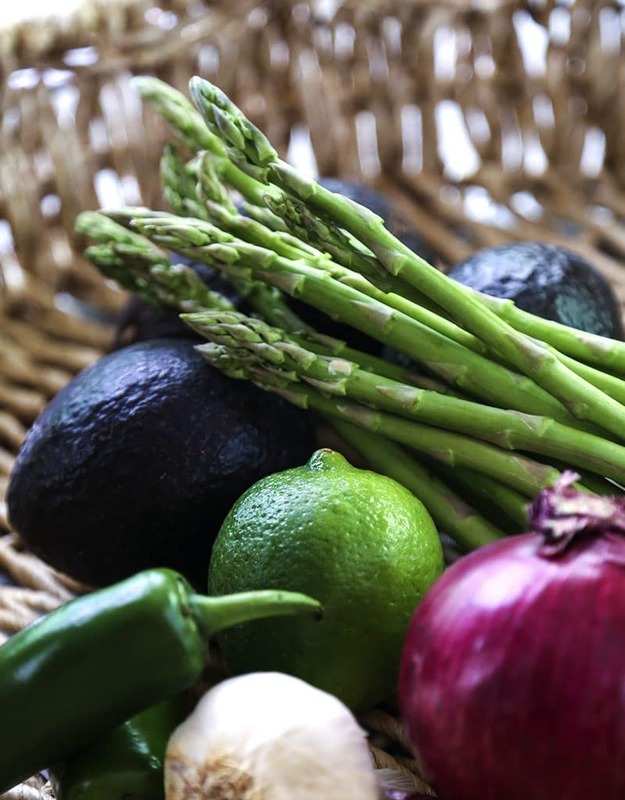 Lately, I’ve indulged too many salty foods and need to make some changes, so I was excited to find that Secret Ingredient Guacamole served with veggie sticks is both healthy and delicious! So, what’s the secret ingredient? Steamed asparagus! 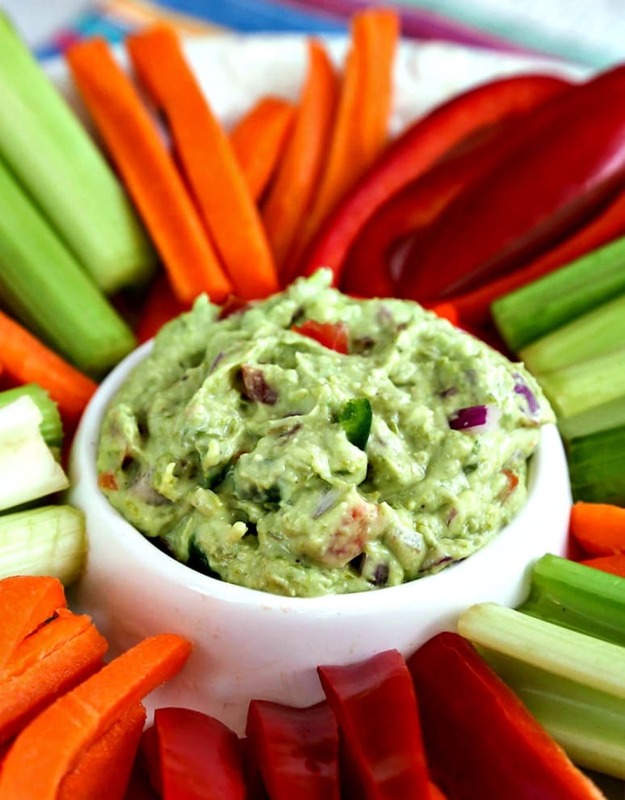 Adding a cup of asparagus to the dip instantly adds Vitamin A, iron, and Vitamin C, and cuts the fat content. The texture is still very creamy, so no one will ever be the wiser! I’ve told you before that I do all my cooking for the blog on the weekends because I have another full-time career. Well, lately I’ve slipped into a bad habit of eating out for lunch most days and haven’t been very focused on making the healthiest choices. Too many deli sandwiches with salt and vinegar chips—which I love, by the way!—along with not getting enough regular exercise (and probably my age), has resulted in my blood pressure being elevated. Thankfully, I’m not “at risk”, but I do need to make some lifestyle and diet changes to avoid medication. Of course, I already knew I needed to lose 15 pounds and exercise more, but this fact now has my attention! So, what does that mean for my blog? 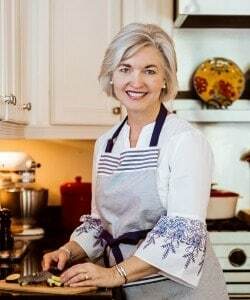 At Life, Love, and Good Food you’ll still find me talking a little bit about my life, the things I love, and good Southern recipes—only in moderation. Y’all, I’m still gonna have a biscuit once in a while! Instead, I’ll be sharing recipes that are heart-healthy, lower in sodium and fat—but always delicious! 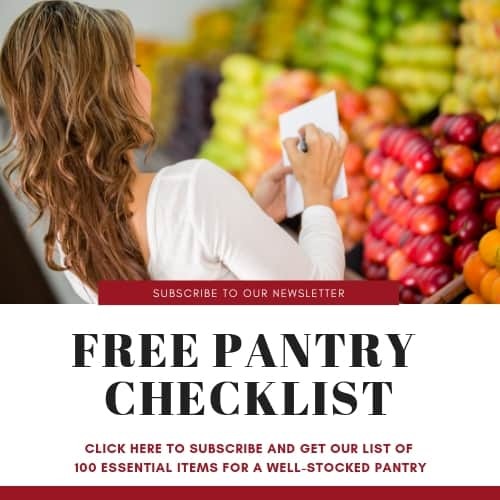 You’ll also notice that my recipes will now include nutrition information. I hope you’ll keep reading and will join me on this journey to a healthier self! Bless your heart, friends! Steam and chop the asparagus into small pieces. Slice avocado in half and remove pit. 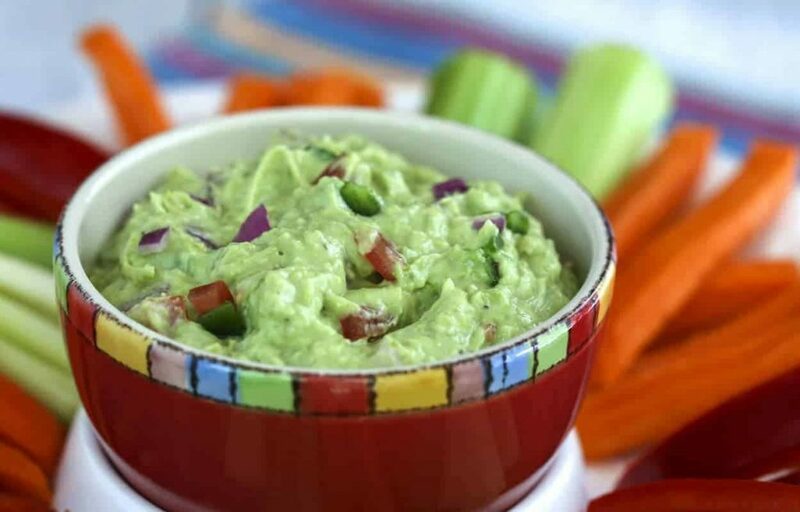 Spoon out the avocado and add it along with the steamed asparagus, spices and plain Greek yogurt to a food processor. Squeeze the lime juice over top, then pulse until smooth. Place mixture into a medium size bowl and add the diced red onion, jalapeno, and tomato. Stir gently to combine. Chill in the refrigerator, then serve with veggie sticks—baby carrots, celery, and red bell pepper—or your favorite chips.